The relatively recent trend of the belated sequel – stories picked up again after a decade or more – is often generalised as a symptom of Hollywood laziness, of an industry terrified to risk anything new. And it often seems true. Independence Day: Resurgence, for instance, arrived 20 years after the original but felt like it was written the night before its release date. But where some series curdle, others mature: for every Resurgence, there’s a belated sequel that uses its age to explore themes in a way other films can’t. The most obvious example is Richard Linklater’s Before Trilogy: three films released across 18 years, each one charting a different stage in the lives of two lovers. They begin as young romantics; they finish as middle-aged cynics. And it’s wonderful. But what I’m talking about here is something slightly different. It’s the phenomenon of seeing childhood icons come of (older) age. Think of Renton and co realising their glory days are over in T2: Trainspotting; or the elderly Rocky Balboa, once so young and strong, struggling to climb the famous Philadelphia steps in Creed; or Han Solo in Star Wars: The Force Awakens, once so carefree and cool, facing up to his father-son issues. Do these films wallow in nostalgia? Sure. But the smarter ones tend to weaponise that nostalgia far better than reboots do – they use our ideas of who characters are, or were, to tap into something profound. Stop living in the past, some of them say – life moves on, and that’s fine. People are complex, say others, they make mistakes, they are rarely who you build them up to be. These can be difficult things for audiences to confront. 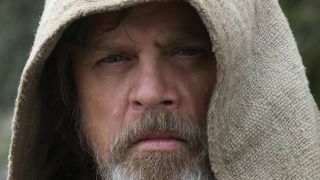 Hence the mixed reaction to Star Wars: The Last Jedi, which subverted the legend of Luke Skywalker by portraying him as a green-milk-guzzling weirdo, haunted by bitterness and regret. Some fans felt like it tainted the past. But it didn’t. It merely used our familiarity, like all good belated sequels do, to achieve a poignancy most films only dream of. Or is it just me?